Today began with a visit to the National Museum of Rwanda in Butare. The museum featured Rwanda’s history, language, geography, topography, and anthropology. We observed traditional dress, housing, and art. Many of the photographs in the exhibits were taken mid-twentieth century by Belgians and Germans. I marvelled at the photographs that were evidently fairly recent, but that seemed to represent such an ancient way of life. We also saw currencies from throughout Rwanda’s history. Currency is a neat token of a country. It reminded me of a first university assignment that involved inquiry into the history of an era through studying an ancient coin. From the museum we departed to the Murambi Memorial. At this site there was a technical school that had not yet been opened when thousands fled to it during the genocide. The school was on top of a hill. We were led into classrooms filled with tables on which the bodies of victims were laid. 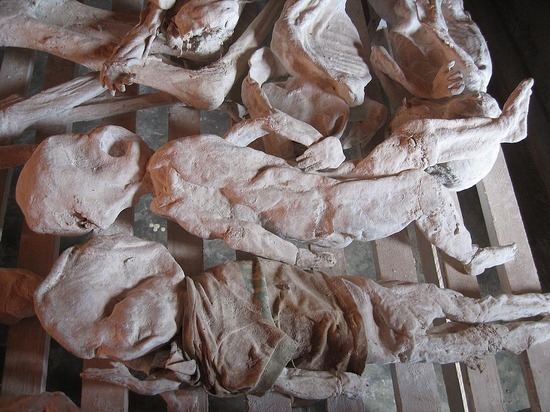 These bodies had been preserved using limestone and so we saw bodies frozen in form showing the positions in which they died. Some of the bodies had their arms crossed, some with their arms in the air, some bodies were sprawled out in utter defeat. There was one room with children and infant victims’ bodies. Sometimes clothing was attached to the preserved corpses. We saw the full bodies of the victims whose families had hurried to the site quickly enough to claim them. During the genocide French soldiers came, but they had come too late to Murambi. We saw a plaque marking the place where the French soldiers played volleyball over the mass graves. Not far off from there we saw homes whe re people live in close proximity to the memorial. 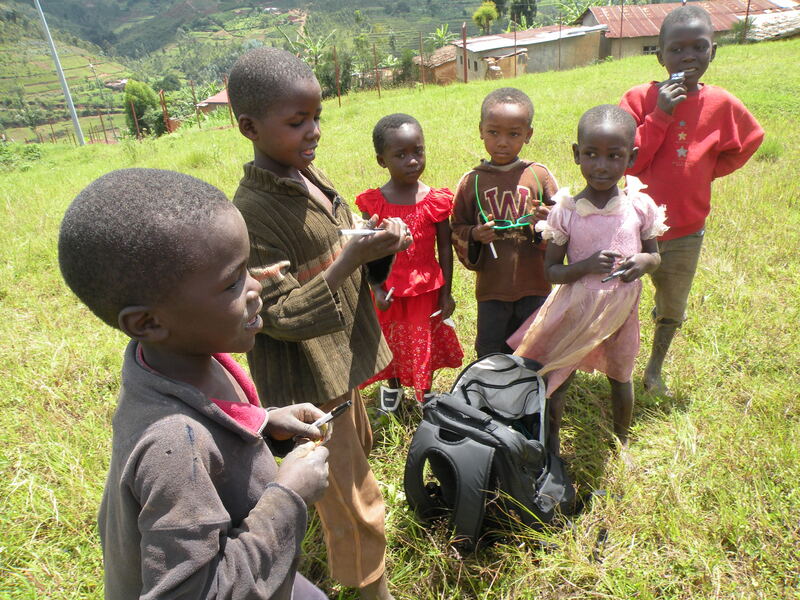 Children came running up the hill to greet us. It was quite the juxtaposition to be in a place were such horrific killing had taken place. Whereas now it is aplace so scenic and beautiful, filled with new and innocent life. From Murambi we traveled to the National University of Rwanda in Butare. We were greeted by Rwandan university student ambassadors who gave us a tour of their campus. The students who we met are studying International Relations, Applied Mathematics, and Computer Science. The campus seemed familiar with an ICT building, sports field, administration buildings (of course), and the campus pub located strategically so that drunk students do not have too far to walk home to their dorms. I met one student named Augustine, an international relations student who wants to work in non-governmental organizations. He was a talkative and exuberant young man. He said that he was so pleased that we had come to Rwanda since everything we knew about his country could have been hearsay. I was amazed at this comment because it had been my own reflection a few days earlier that foreign lands are like an unimaginative fiction – accepted and not contested, but only confirmed and believed or disproved and rejected when experienced. I told Augustine this quotation by Saint Augustine: “The world is a book and those who do not travel read only one page.” Augustine took great delight in sharing this quotation with his friends and with the other Canadians in our group. 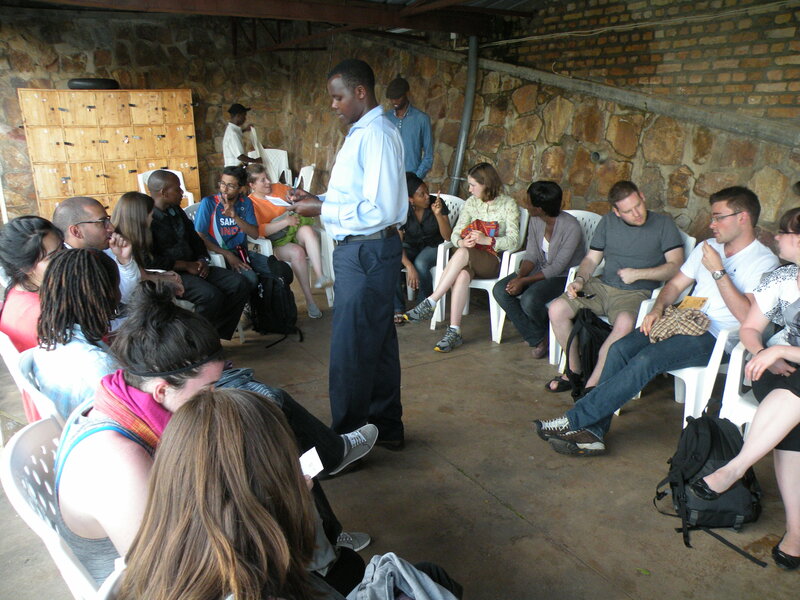 Then, the Rwandan and Canadian students gathered in a circle for some intercultural dialogue. As we drank Fanta and beers we discussed the future of Rwanda and asked questions back and forth to one another. It was so cool to be chatting with other university students. They responded to us saying, “To the question of my neighbour…” or “As my friend was saying…” or “In response to my fellow student…” Sharing the common student experience made for an engaging discussion. The Canadian team asked what they thought about protectionism versus free markets. A student named Denis responded that Rwanda is open for business and investment. “You are welcome to come to Rwanda to work and to invest,” he said. This surprised some of the Canadian students who expressed concern that foreigners would steal Rwandan jobs. The students insisted that this was not a concern and recognized the globalizing world. The students do, in fact, look to the world in order to develop Rwanda and many of them recognize the increasing importance of technology. There was some tension between the kinds of questions we asked and the unexpected responses we received. One person from our group suggested that foreign aid should not be given with strings attached. But the Rwandan students discussed corruption and said they see merit in foreign countries attaching strings to the aid they gave. Another Canadian student asked the students whether they thought that the ethnic tensions in Rwanda have ceased. The students said, “Yes, we are all Rwandese now. We all say ‘never again’ and we consider those who bring up the genocide repeatedly now to be mentally disturbed and in need of counselling. 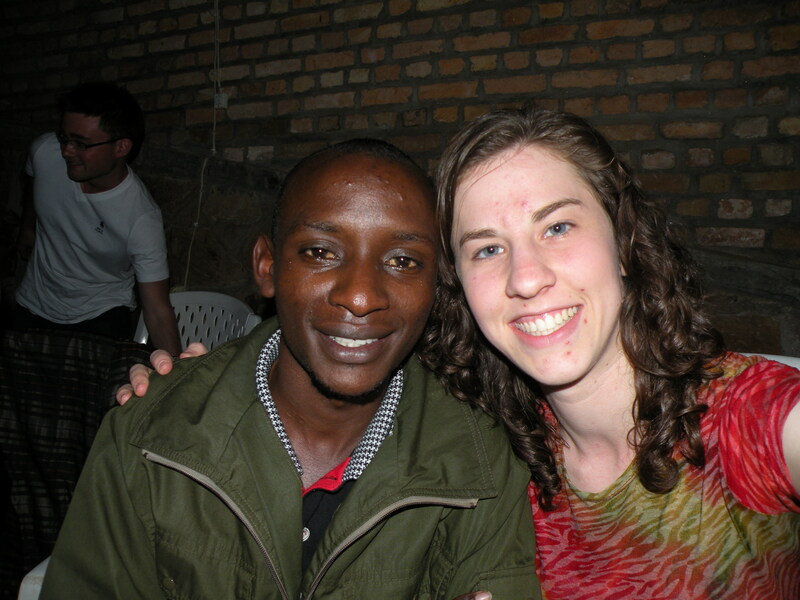 Rwanda is a united country now.” The students hoped that we would see the reasons that they love their country. When I asked Augustine what made him proud to be Rwandese he said that he is proud of the nationalist solidarity in Rwanda now and that it is fundamentally people who make a country. In the evening we had a good dinner and debrief. I grappled with what the essence of humanity. What does an innocent newborn have in common with a genocidal killer that they are both called human? If the central problem we encounter with genocide is dehumanization, then how do we humanize humanity? Some said that visiting so many sites with bones and skulls is beginning to seem like gratuitous viewing. It is easier, many agreed, to affirm life and humanity in images of the living than in dead bodies. Yet, some had earlier said that what makes us human is our flesh and bones. Surely this is not the essence of human life itself. Studying genocide inspires a lot of reflection on human nature and the human condition. In gratitude for their support of this trip, this post is dedicated to my uncles André and Paul Lambert. I just finished reading “How the Catholic Church Built Western Civilization.” Perhaps the lessons from these types of books would help university students, like Augustine, get a sense of the heritage of western education, law, and order. Thank you for posting your reflections Amanda.